I realize that I've been missing from this blog for quite some time, but it's all for a good reason. I've been working on a very special project for a cause that is near and dear to my heart. 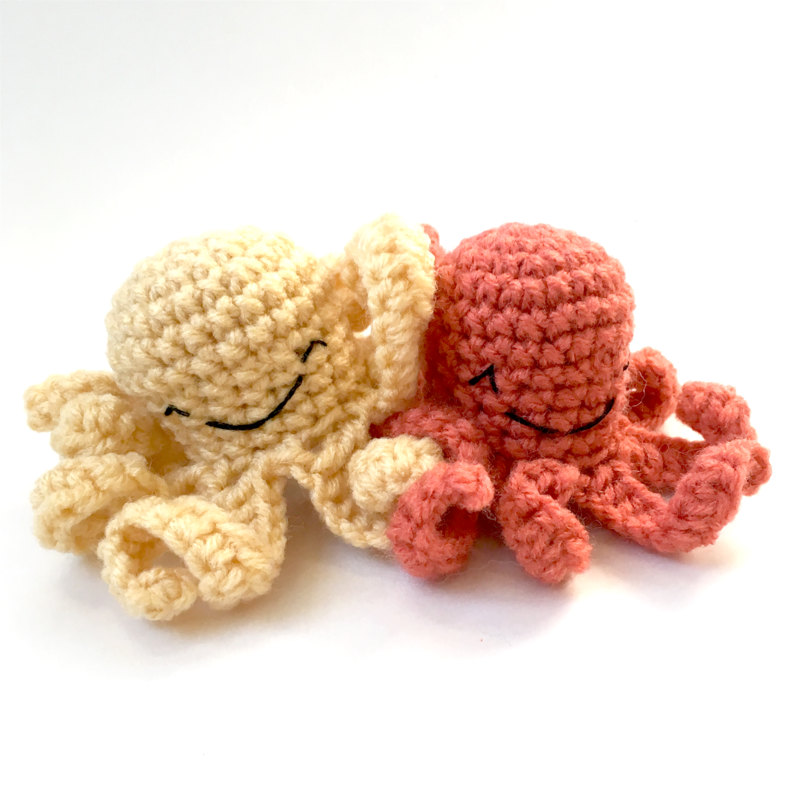 Long-time Itsy Bitsy Spider followers will remember that the way I got into the business of amigurumi design was a bit of an accidental trip. I was working as a technical writer for a Fortune 500 company when we adopted our daughter. My intent was to return to work once we had set up our family and continue along in my path. But my plans were interrupted when we started to discover that our child had some special needs. It began with discovering her significant sensory processing issues and became a journey through early intervention, therapy, special education and more. There was no way we could afford for me to keep a job and pay someone to take her to all those therapies, so I left the Fortune 500 and picked up my crochet hook. That was nearly 10 years ago. Needless to say, there have been ups and downs, but I've enjoyed every part of this journey. Along with my crochet, I started working for a little non-profit in the Cleveland area, called Connecting for Kids (CFK). CFK helps families (like mine) to find education and support. They have helped thousands of families and continue to do so through speakers, hands-on programs, and awareness projects. Which brings us to Ollie. This year, CFK decided to focus on sensory awareness. Sensory issues were the thing that first made me say "ah-ha! There is something different about my child" - so they're very near and dear to my heart. Yet, SO MANY parents have no idea they're even a thing. We worked with local occupational therapists to craft an awareness component, but we needed a friendly face to go with it. And that was where Ollie came in. 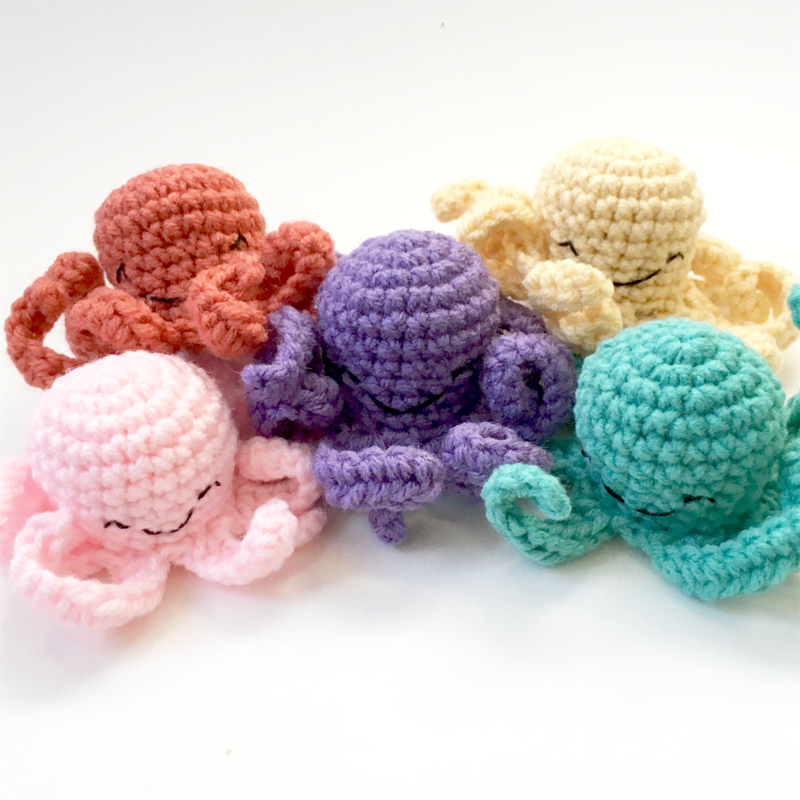 We wanted to give the kids something to help them, but as a non-profit, funds were extremely limited... so I offered to donate a few crochet octopus dolls. That was almost a year ago. Fast forward to today... we're making a difference. Ollie has been on TV, in the local news, and on the radio. We'll be passing out 750 of them over the next few weeks along with kits to help families understand sensory issues, and plan to work through the Cleveland area, family by family. I've made the Ollie pattern a free download through the Connecting for Kids website. You're welcome to make them for your kids, grandkids, or even yourself. If you have the time and materials available, CFK could use all the Ollie donations you can send too. Think of each one of these as the difference between a child being scolded for something they can't control (like refusing to eat a family favorite food or wearing their coat indoors). 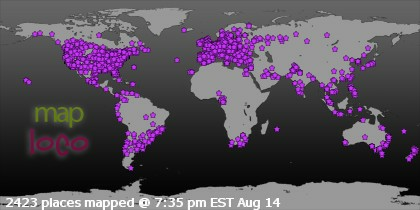 And thanks for stopping by after so long. It's been so nice catching up with you.